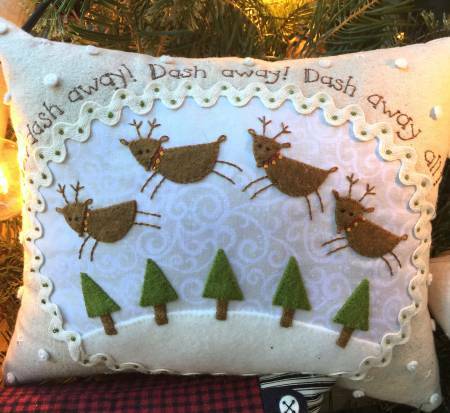 Fabric and floss kit for the fun Dash Away pillow from Bareroots pattern #237 Little Christmas Pillows. Kit includes fabrics, rick-rack and floss. Pillow size approx. 8in x 10in. Pattern not included.